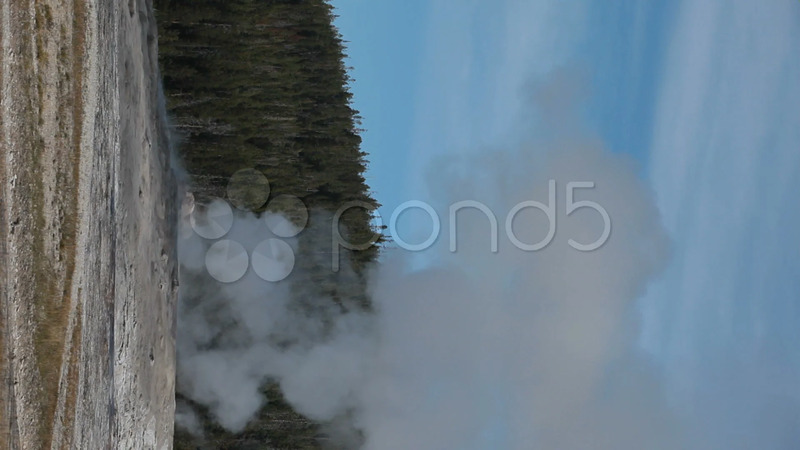 Description: Old Faithful geyser in Yellowstone National park, steam, vertical format. Blue sky, steam and hot water from geo thermal activity and eruption. World famous landmark and nature area. Don Despain of Rekindle Photo.